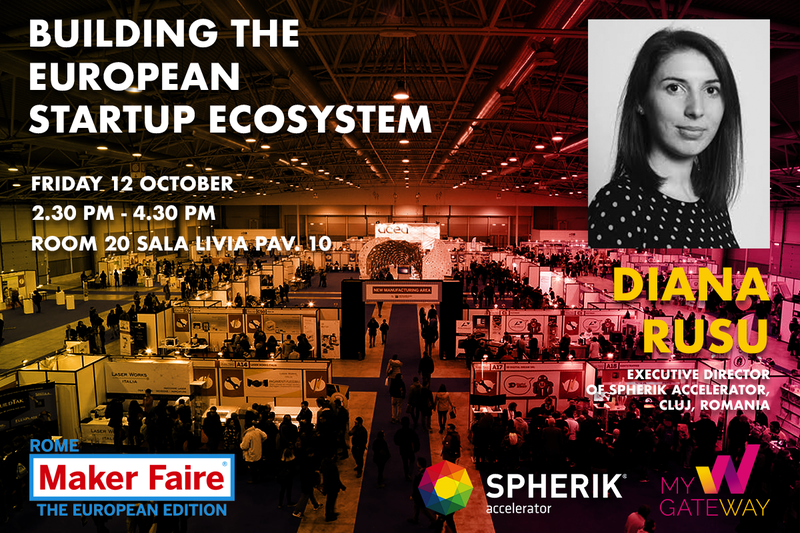 On October 12th afternoon, Diana Rusu, executive director of Spherik Accelerator, MY-GATEWAY partner and Startup Europe Ambassador for Romania, will be a speaker at the Maker Faire Rome. Within the framework of building the European Startup Ecosystem, Diana will take part in a panel talk on the Central and Eastern European startup ecosystem, together with Ms Christina Oelke, Director of CUBE Berlin and coordinator of the project Access2Europe, and Paul Stefanut, Director of OpticsValley, coordinator of the project ScaleUP2EU. Gianmarco Carnevale, Chairman of Roma Startup, will open the session on the European startup ecosystem, while Aleardo Furlani, Startup Europe Ambassador and CEO of Innova, and Massimiliano Dragoni, Senior Policy Officer at the European Commission will conclude the session by discussioning the WeP-UP project and news and priorities in relation to Startup Europe. What is Maker Faire Rome?